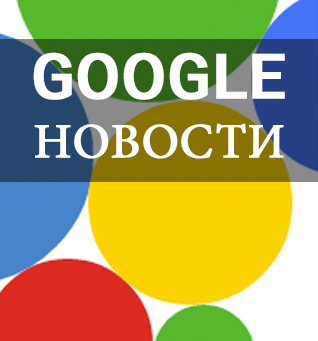 AdWords Блог Србија: Новости из Google-а за период 23-29.07.2012. Новости из Google-а за период 23-29.07.2012. Преносимо вам прошлонедељне вести са званичних Google блогова. Уз AdWords, причамо и о другим Google производима који могу бити од користи за ваше пословање. Као и обично, постове преносимо у оригиналном, енглеском језику. A few years back, we introduced interest based advertising, including remarketing, as a way to reach the right audience with your message and re-engage with customers who have visited your site. In response to our clients’ feedback, we’ve been working to make these solutions even better: simplifying the process of getting started with remarketing, giving you more flexibility in managing your remarketing lists and adding new ways to connect with your target audience. Cloud is core to everything we do here at Google. In the last decade, we’ve invested in building an infrastructure that can serve 4 billion hours of video every month, support 425 million Gmail users and store 100 petabytes of web index, and it’s growing every day. We’ve taken this technology and extended it via Google Cloud Platform so that you can benefit from the same infrastructure that powers Google's applications. A few weeks ago, we announced Google Analytics Content Experiments. Since our announcement, we have been busy making Content Experiments available to Google Analytics users and improving it based on your feedback. We'd like to tell you about a few changes that we have recently introduced. When Google launched Google Analytics many moons ago (2005 to be exact) there was a metric named $Index. It wasn’t your standard analytics metric, like pageviews or visits. It was a calculated metric to help businesses understand value of content. Unfortunately $Index was removed from Google Analytics version 5 due to some technical limitations. But now it’s back as a new metric named Page Value! Have you ever wondered how many visitors really pay attention to your website before exiting the page? Have you wondered how many of those “bounced” visitors will remember where they’ve been in future? How many of them are totally useless, how many are not? There is a way to track this!